Well, hello, yellow! 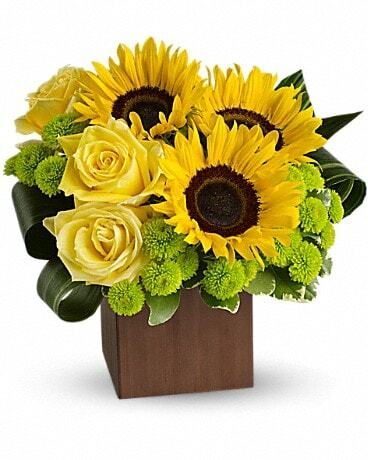 Yellow roses and yellow sunflowers starring in a chic bouquet artistically arranged in a cube vase. What could be happier? Send this gift of sunshine to someone special - and maybe yourself.